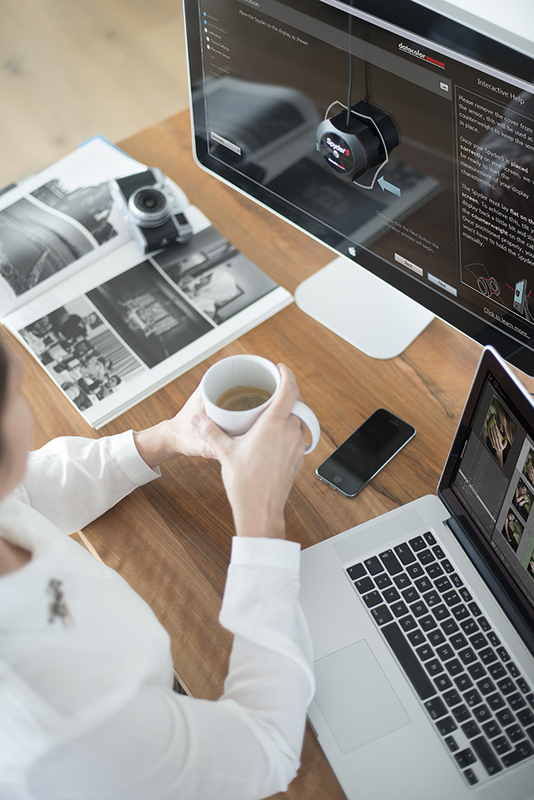 As the window to your digital photography, your monitor is a tool you need to be able to trust. There are a number of reasons why monitor calibration should be a key part of your photography workflow. Your eyes will never be as accurate as a colour calibration device. You can’t rely on your eyes to adjust your monitor correctly, as factors such as fatigue and time of day affect how they see colour. Monitors display colours differently. What may look perfect on one monitor could look completely different on another. Monitors are not built ready-calibrated and their colours shift over time. If your monitor isn’t displaying your photo’s true colours, you will waste unnecessary time editing. A correctly calibrated monitor is a time-saving trick. Image colours are not ‘true to life’. Often your photos don’t look right on your monitor – skin tones are off, whites aren’t pure, and blues look cyan. Calibrating your monitor fixes this. With an uncalibrated monitor, the colours in your printed photos won’t match what you see on screen. Leave your monitor turned on for at least 30 minutes before you begin the calibration process. Make sure that no direct light is falling on your display, and reset the monitor controls to the factory default settings, if available. Deactivate any Auto Brightness features on your monitor. Install the Spyder5 Software. Once the installation is complete, plug your Spyder5 into a powered USB port on your computer and launch the Spyder5 software to begin the activation and registration process. Use the Serial Number included in your Spyder5 package to activate your software. Follow the step-by-step on-screen instructions. Remove the lens cap from the Spyder5 colorimeter. Hang the Spyder5 unit over your display when the on-screen prompt appears, using the lens cap which slides on the USB cable, as a counterweight to keep it in place. If necessary, angle your display back to keep the Spyder5 flat against your screen. The calibration process will begin! The Spyder5 Software will walk you through the calibration process and create a custom display profile, which your operating system and colour-managed applications will use to correct your displayed colours. From 21st – 27th November 2018, save on Datacolor's Spyder5PRO and Spyder5ELITE. Get the PRO for only €99/£87 and ELITE for only €149/£130 (online store prices in € - exchange rates may vary).